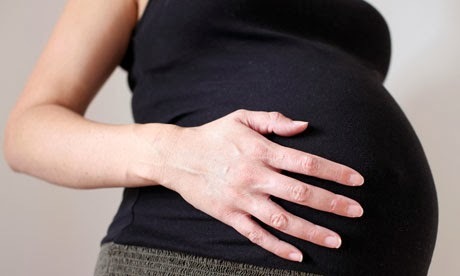 The Fair Work Ombudsman reported on the 8 November 2013 “The operators of a Victorian retail chain were recently fined a record total of $53,592 for discriminating against a pregnant employee. The Felix Corporation Pty Ltd – which operates GV Bargains stores throughout regional Victoria, including two stores at Shepparton – has been fined $40,920. The company’s owner-managers Feiyue Hu and Jian Ping Hu have also been personally fined a further $7,656 and $5,016 respectively. To date these penalties imposed against the company and the directors by the Federal Circuit Court in Melbourne, were the highest secured by the Fair Work Ombudsman for legal action related to discrimination. “The affected employee, a part-time shop assistant at a GV Bargains store at Shepparton, was discriminated against between December, 2010 and April, 2011. After the employee, then aged 22, told her employer she was pregnant, she was directed to take two weeks of unpaid leave. When she refused, her rostered hours were cut from an average of 26 hours to less than 10 a week – and she was told to look for another job when she asked for more hours of work. Mrs Hu told the employee it was a tradition that women in China do not work when they are pregnant and that she did not want her working at the store. The employee was asked to obtain medical certificates on two occasions stating that she was “suitable” to work at the store. After complying with these requests, the employee was offered some additional hours of work but ultimately resigned in what amounted to a constructive dismissal. As we have seen recently the Fair Work Ombudsman has reported the number of complaints received of pregnancy related incidents has increased to be the highest of any type of reported work place discrimination. It seems beyond surprising that in 2013 this would be the case however it is. What does that mean for work places? The Fair Work Ombudsman is sending a strong message to employers of all sizes that it will not hesitate to take these complaints to court. The court is making it clear that the conduct such as that outlined above is a breach of the discrimination provisions of workplace law and are willing to fine the companies and also the directors. Therefore if you are a director of a business it is your duty to ensure that the company is making room for bumps. Beware! If you don’t think you have time to do this then you are leaving it undone at your own risk. Your company may be the next to be fined and unwittingly you may also be in line to receive a fine.